DynaTech Solutions Inc. offers the following web hosting packages that fulfill the requirements of most of our patrons. If you have any specific requirements that are not covered in these packages, please feel free to contact us. *Only following top level domains: .com, .org, .net are valid for free domain registration offer. 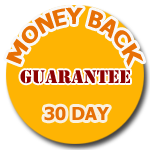 Offer valid for customers subscribing hosting packages for at least one year. Click the package to order it online using our secure order processing system. For domain redirection or email only packages, please contact us.